I came across Sarah London's blog and this post in particular whilst reading meet me at mikes, she is calling for donations of crocheted granny squares, which will become fabulous handmade blankets to be gifted to those who have been affected by the Australian floods. 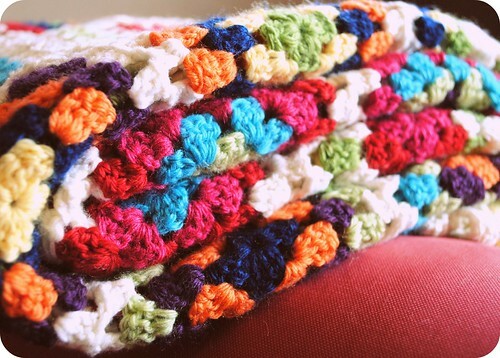 I’m asking for donations of granny squares which I will then make up into blankets to be distributed to those affected throughout Queensland and Victoria, providing comfort and colour and as a reminder that there is always a rainbow after a storm. I think this is such a fabulous idea and very good excuse to hook up some colourful granny squares and a perfect project for craft night in this coming wednesday.